The newly released 2016 Yoga in America Study conducted by Yoga Journal and Yoga Alliance shows that the number of US yoga practitioners has increased to more than 36 million, up from 20.4 million in 2012, while annual practitioner spending on yoga classes, clothing, equipment, and accessories rose to $16 billion, up from $10 billion over the past four years. "Yoga is a thriving, growing industry," says Carin Gorrell, editor in chief of Yoga Journal. Whether we like it or not, we have to accept the reality that Yoga has become a growing industry today. Every Industrialization has its own advantages and disadvantages. Same is the case of Yoga. Great thing about this is it has increased the popularity of yoga in USA and globally by leaps and bounds. The dark side of this is that yoga has lost its authenticity, purpose and spirit which is indicted by this stats: The top five reasons according to Yoga Alliance Executive Director and COO Barbara Dobberthien, for starting yoga are: flexibility (61%), stress relief (56%), general fitness (49%), improve overall health (49%), and physical fitness (44%). These stats are positive and encouraging. As a yoga teacher, I would have danced to my heart reading this stats 10 years back. 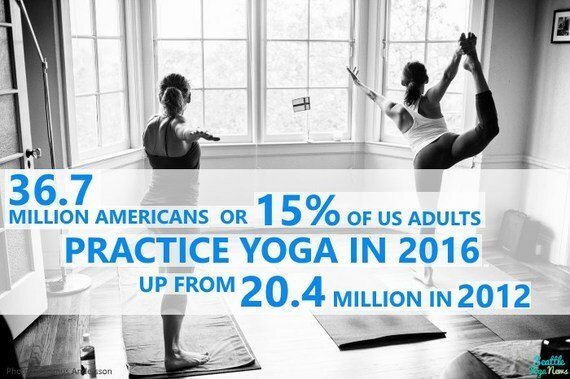 But with my understanding of yoga going deeper, I would definitely love to see the stats as -- the top five reasons for starting yoga are: Self-realization (90%), spiritual growth (80%), imbibing human values (85%), self-discipline (70%), improve overall well-being (60%)!!! 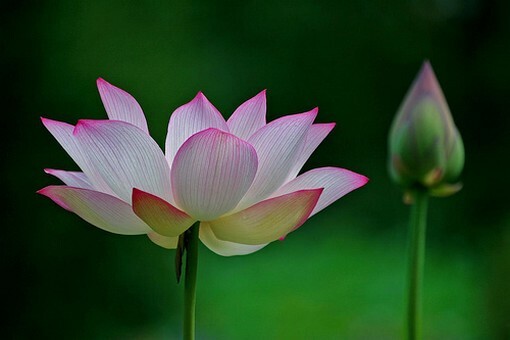 "Like a flower bud, human life has the potential to blossom fully. Blossoming of human potential to fullness is Yoga." -- Yoga Guru Sri Sri Ravi Shankar's this definition of yoga explains the real purpose of yoga so beautifully. The Saints and Sages of ancient times evolved and perfected over the centuries a system of self-development and Self-realization known as Yoga. Since time immemorial, the science and philosophy of Yoga has always been taught from Preceptor to student -- transferred by the grace of the Guru to the spiritual aspirant or disciple. It is this grace which makes yoga practice effective, true and complete. Throughout the history of yoga, the authentic guru has often been regarded as an essential spiritual guide, a living example of the teachings one advocates. In yoga, the genuine spiritual master is one whose life is the embodiment of spiritual philosophy and one who walks the talk. Since there is much skepticism and misunderstanding about gurus in the world particularly in West today, it is important to understand this essence who the guru actually is. The Guru (gu+ru= dispeller of darkness) is the guiding light -- removing the darkness of ignorance. Guru is the infinite love in a bodily form. A Guru is someone who is so filled with devotion or love for the Highest Cause -- love or compassion for all living beings and who has dedicated his life to helping everyone find true happiness. Over a period of time, the world has deviated far away from the real purpose of yoga and the Guru-Disciple tradition. There are several hundreds of yoga schools mushrooming in the world which train the teachers to teach yoga. There are thousands of yoga teachers out there in the world. But very few teach the real essence of yoga. Yoga has become synonym with doing some asanas (physical postures), some breathing techniques, or some meditation techniques, etc. These may be a good starting point for the modern yogis however the wisdom is to not to remain stuck with the techniques but to go beyond to grasp the real essence and purpose of the yoga. This is where a Guru comes into picture. Tons of books, websites, DVDs, apps on yoga are available today in the market which give so much information but to translate the information into an experience, one needs a Guru. A Guru will put you into your Self, make you reach the goal -- not just show you some techniques or some path. A Guru will show you what you are, your highest possibility and take you there. I began my yoga journey more than two decades ago and slowly it became my purpose of life. I had the intense desire to go to Gurukul (traditional yoga school) as described in the ancient yoga scriptures and learn yoga from an unpretentious Yogi and Guru who could bless and guide my life and yoga path. My desire was fulfilled when I met Sri Sri Ravi Shankar for the first time. My journey got the direction and momentum which was so badly needed. Without his guidance and grace, I would have just be playing on the shore of the vastly deep ocean that yoga is. I realized that whole life could be unrolled as yoga mat and every moment yoga could be practiced. With his teachings of yoga, my life has become a continuous celebration. To live in the proximity of a great guru is a priceless gift that is hard to understand and appreciate unless you have had the experience. Recently Sri Sri tweeted, "The source of joy is deep within & events are impermanent. Keeping the mind like a clean mirror & being unfazed by events is Yoga." While the whole world is going crazy after physical aspects of yoga and showcasing yoga as physical flexibility or fitness program, it takes vision, knowledge and courage to stick to the roots, and not get carried away by the "glamour." He continues to spread the real wisdom and inspire millions to harness the profound spiritual dimensions of yoga. While the world will be celebrating the 2nd International Day of Yoga on 21st June, let us all come together to reconnect people to the true spirit of Yoga. In the western countries, we lovingly celebrate Mother's Day and Father's Day in appreciation of parents. 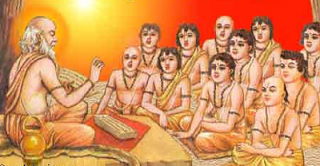 Similarly for several thousands of years in India, people have been celebrating Guru Purnima -- Master's Day -- festival dedicated to spiritual and academic teachers to thank and respect them. It is the festival of love, reverence, devotion, gratefulness that a student has towards the Guru (Master). I feel so fortunate that I will be part of this traditional celebrations along with thousand other in presence of my Guru Sri Sri Ravi Shankar on 19th July at the Art of Living Retreat Center in Boone, NC, USA. I take this opportunity to invite you to experience the fullness and the pinnacle that this relationship of Guru-Disciple brings. HE is also touring various states of the UK and USA as a special guest for the "Get Happy" immersion program.